Web development industry is full of challenges and booming on each successive day. The continuous development of technology and discipline also affect it tremendously. In such circumstances, being a developer, you have to be very careful about each step, as a minor mistake can ruin all your efforts. Don’t worry, we have got you covered. 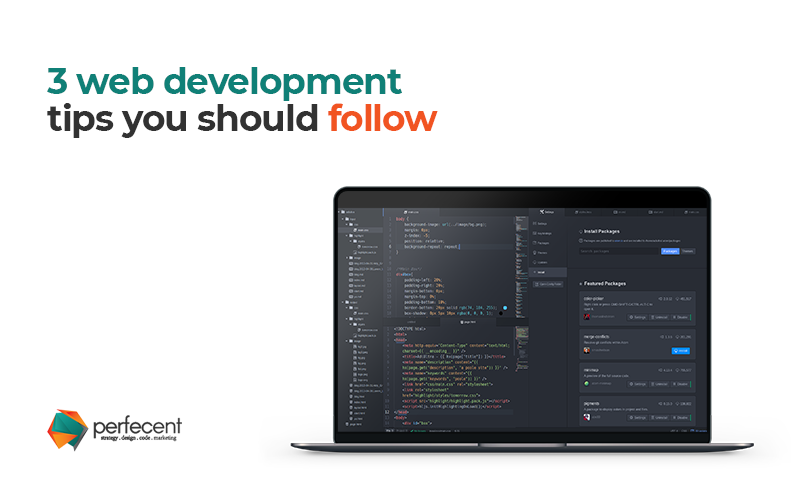 Here are three web development tips you should follow that will help you to come up with better design. Coding is intended to generate functionalities which perform and communicate to other developers how the coding is working. Be a keen, clever, brainy and striking web developer who always tries to make his architecture more solid and his code less susceptible to bugs. In order to improve your coding skills dig into the great naming, great organization and great unit tests. You can also take help and follow the good practices from some of the best web developers. Your code should be rich, meek, and easy to spread to be in the running as future proof as possible. Though, the task is tending to overwhelm or intimidate you, but achievable. Everyone is frightened by challenges and find it challenging to deal with. What will happen if you fail? Nothing will happen if you get failed in anything. In fact, we learn and we should learn from our mistakes and failure is a big lesson. You need to work on yourself to accept that failure is a chance to learn and an opportunity for personal growing. Simply put, if you want to be good at any subject, you need to challenge yourself, much more than anything else. Do not hesitate to experiment. Say warm welcome to challenges and be willing to learn from them. Creativity and imagination are the savors of human thought without which we all are gloomy humans with no colors and lives at all. Blending in creativity with anything makes it more tempting and valuable. Web development is no exception. It is a field which demands more creativity and imagination. No matter how strong you are in coding, without these two things you cannot get any big success. Inspire yourself with different websites. Explore as many as you can and research your customer. Plan out the flow and also not hesitate with making any experimentation. Always select what best describes you and never go overboard. No matter what you do and how much you learn, if you do not believe yourself, no one can make you successful. Believe in yourself and stay away from procrastination.